In the USA, posters of two persons would never go out of vogue. One is Marilyn Monroe's and the other is Bad Boy James Dean's, who is regarded as a tag of that epoch. 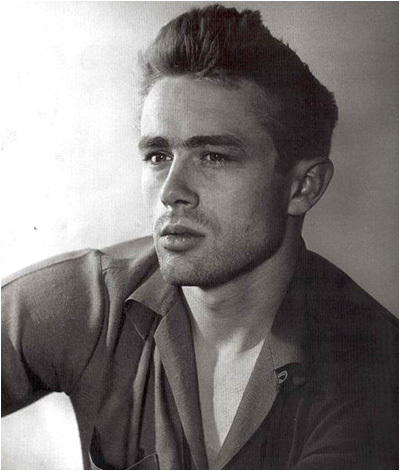 Although he passed away at the age of 24 prematurely and only starred in 3 films, he was the first one who win the Oscar nomination after death in the history of the USA. 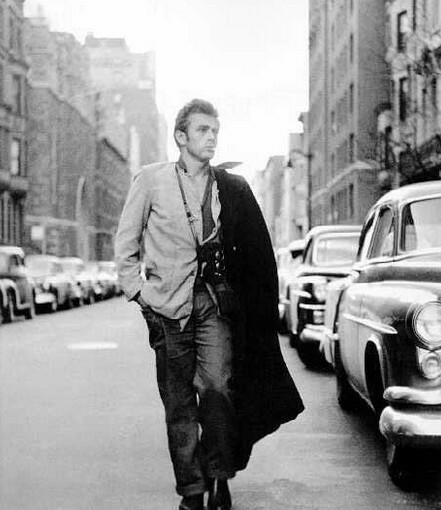 As the name of his peak work "Rebel Without a Cause", extremely cold and unruly, he performed like a wild horse with angelic face but unconquerable character. He became an eternal idol among the American youth with his fluffy hair, cigarette, jacket and jeans. What's more, he was the symbol of challenging the secularity and searching for people's own beliefs and liberation in the American society. In 1955 he drove his Porsche at an unimaginable speed and collided with a Ford, ending his comet-like bright life at the peak.